Gauge is set fixed part ( there is a window for reading) onto a level surface, measurement of height the weld is made mobile part of the gauge, which has three fixed nonlinear scale A, B and C with resolution 0.1 mm. Scale A, B and C are used depending on the location of the welded parts according to drawings on the body gauge. They read from the hull to zero risks sliding window. 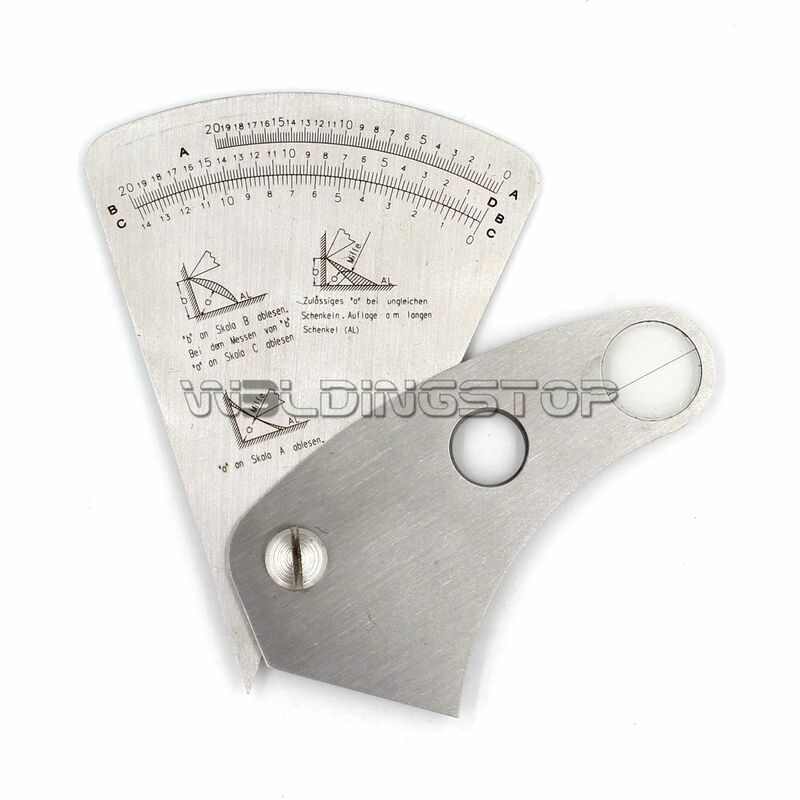 METRIC Bridge CAM welding gauge..
Bridge CAM Gauge Welding Seam..
Bridge CAM Gage Welding Fillet..